The Club owned the iconic Newlands Cricket ground, which was sold to the Western Province Cricket Association in 2002. WPCC remains the owner of the Member’s Pavilion at Newlands which accommodates 2 400 members and their guests who enjoy watching international, first-class and List A cricket in comfortable surroundings. in August 2003 the Club officially opened its Sports Centre, in Avenue De Mist, Rondebosch. The Club is situated near Newlands Cricket Ground in the middle of 8 hectares of park-like surrounds where all members have full usage of the Club’s facilities on offer. 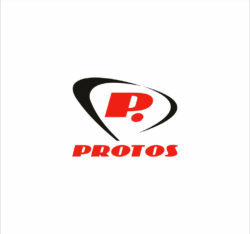 Protos Cricket is owned and manufactured by F.C Sondhi + Co in Jalandhar, India. FCS has grown manifold since it started manufacturing in 1967. Today, the company specializes in top quality cricket equipment including Top Grade English Willow Cricket Bats and a large variety of Kashmir Willow Cricket Bats and Cricket Balls for various levels of cricket. The factory has in-house facilities for providing a wide range of protective equipment for Cricket. This includes abdo-guards, shin-guards, chest-guards, arm-guards and thigh-pads. Plastic blow-moulded bats, stumps and bases and helmets etc. are also manufactured completely in-house. The company is manufacturing for major brands in UK, Australia, South Africa, New Zealand and the West Indies. FCS are on elf the key suppliers of all New Balance Cricket Equipment . The Courier Guy South Africa. Founded in 2000, The Courier Guy has built a strong reputation through strong customer relations and effective personal service. Today The Courier Guy is trusted, recognized and the fastest growing courier company in South Africa.